The Lions Club is proud to recognize one of their own. 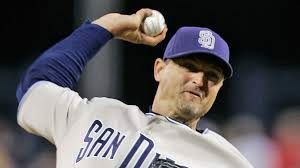 City of Anaheim product, Savanna HS alum and former major leaguer Trevor Hoffman, who particpated in the Lions Tournament in the mid 80’s, is honored to have had this young man play in their tournament. Trevor was elected to the Major League Baseball Hall of Fame and will be enshrined this summer in Cooperstown. Congratualtions Trevor – Anaheim is so very proud of you!!!! The following players have particpated in the Anaheim Lions Tourney and played in the Major Leagues. If we have missed someone – PLEASE let us know and we will add them to our list.